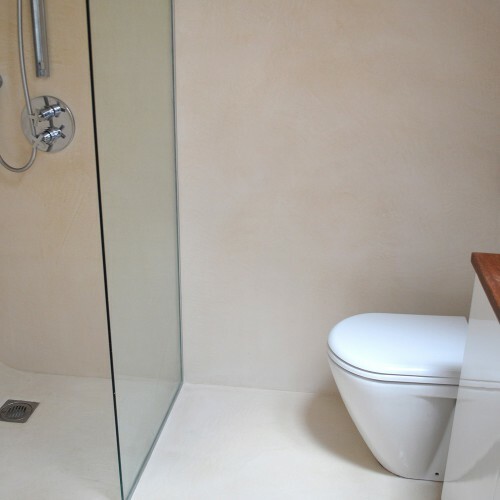 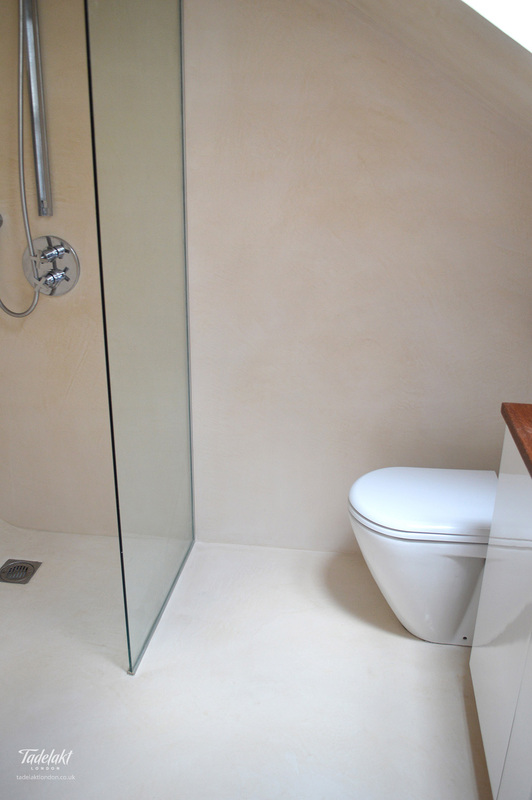 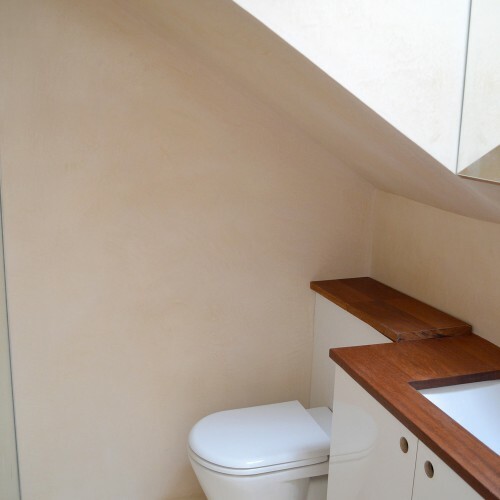 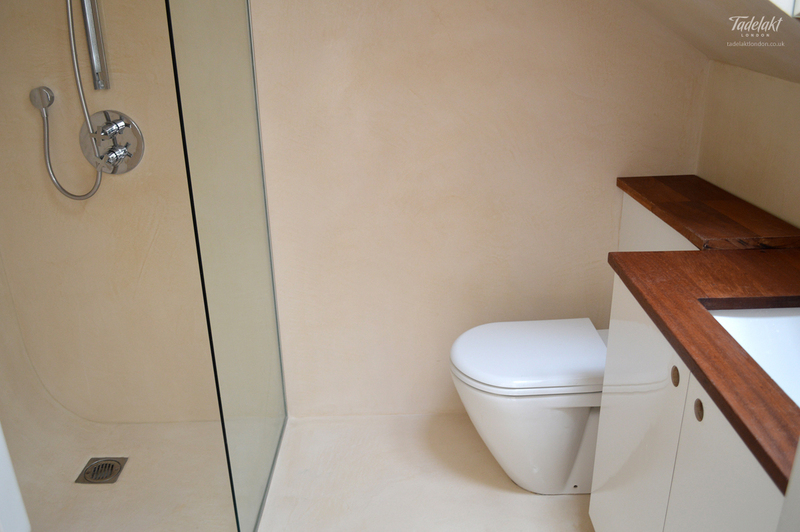 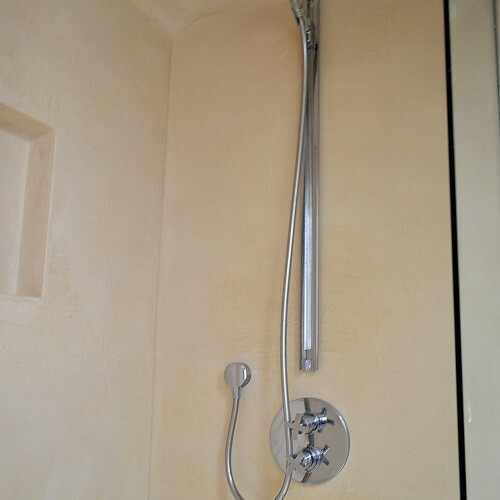 Just as in the ancient public bath houses of Morocco, Tadelakt remains a prime choice for bathrooms where walls and ceilings are frequently moist. 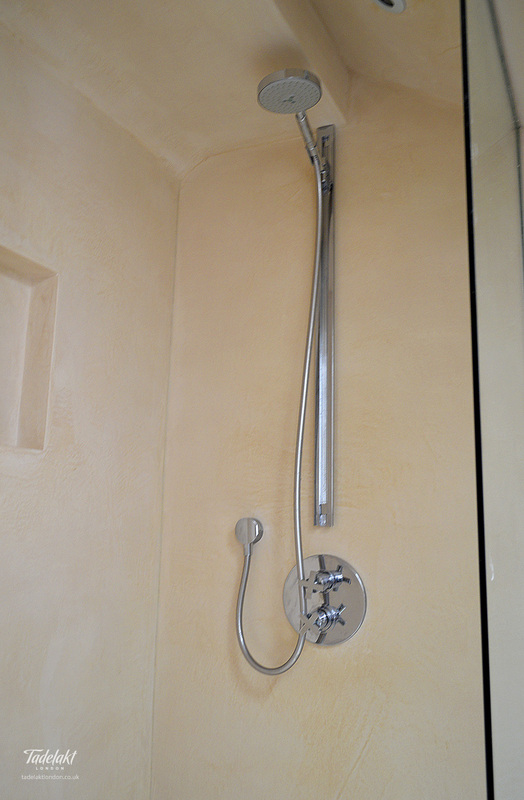 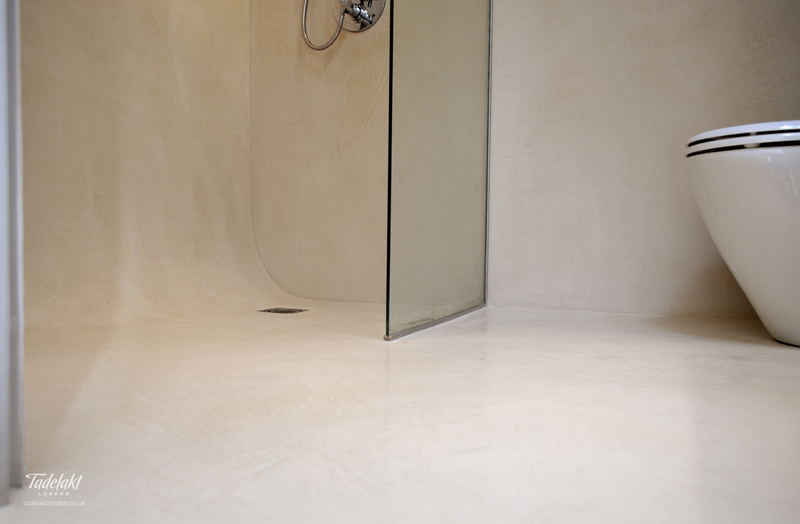 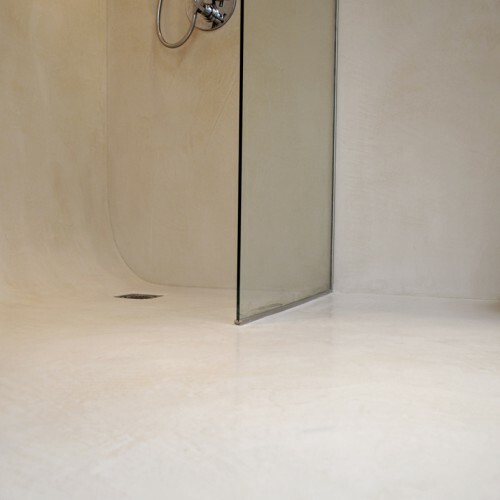 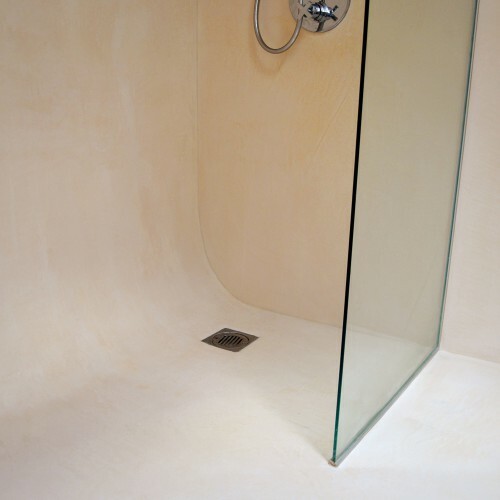 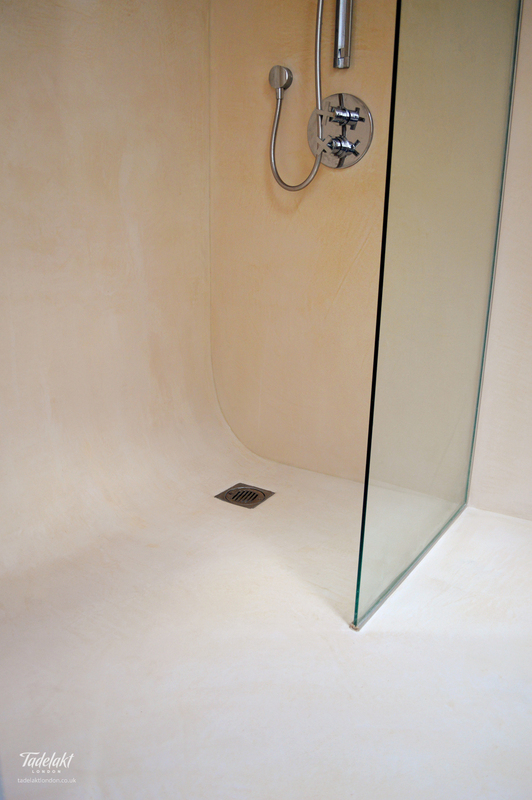 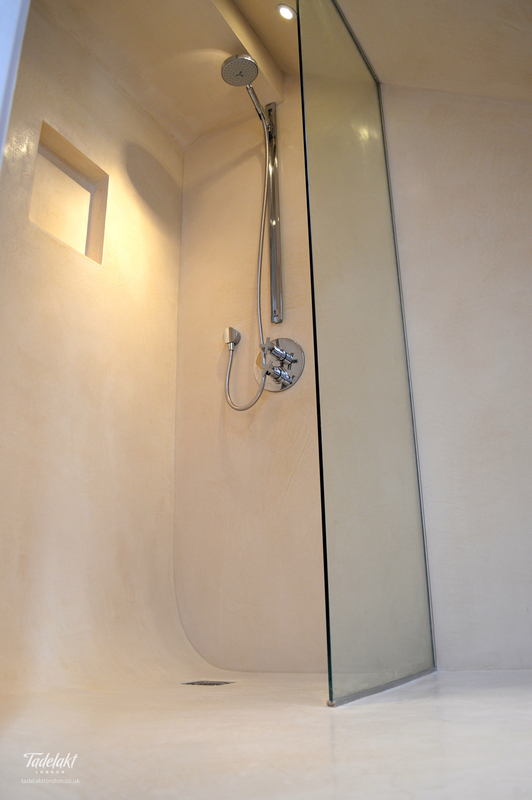 The smooth seamless finish resists the accumulation of dirt and the growth of mould. 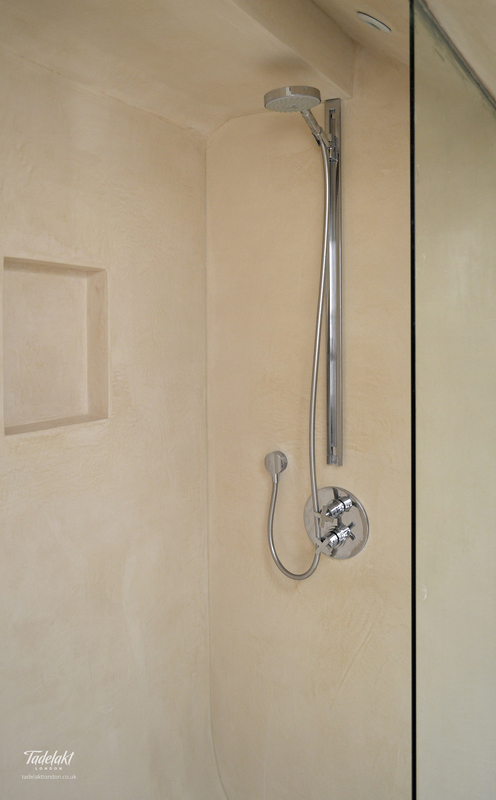 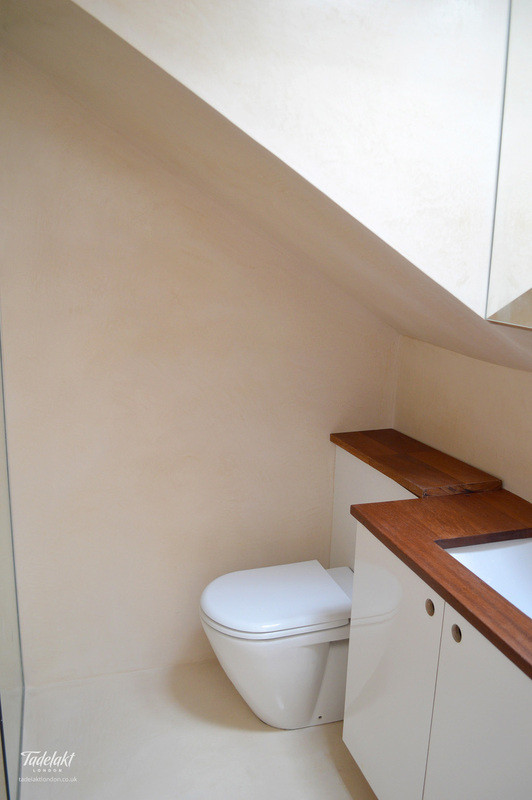 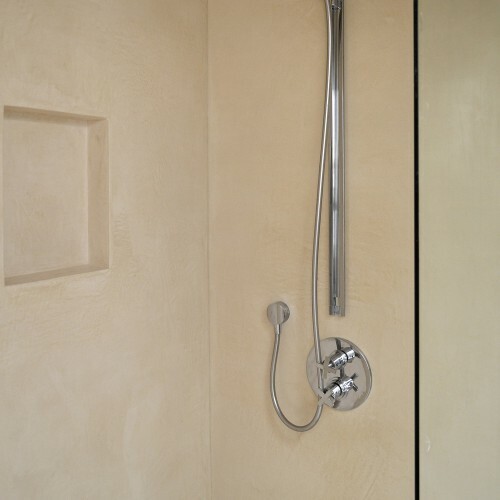 Its natural composition and easy to clean surface make this light beige waterproof plaster an ideal material.